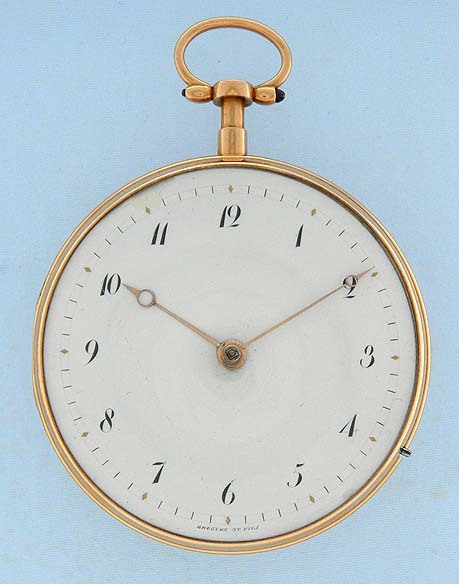 Fine and rare continental 18K gold pinned cylinder musical quarter hour repeater antique pocket watch signed Breguet, circa 1810. 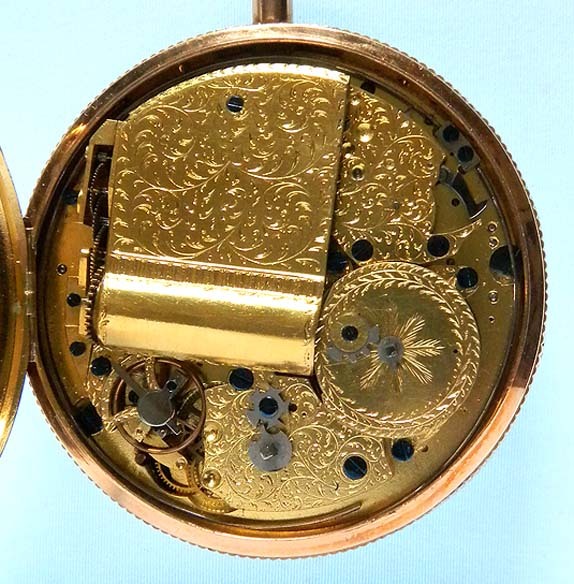 Beautifully engraved gilt cylinder escapement movement. 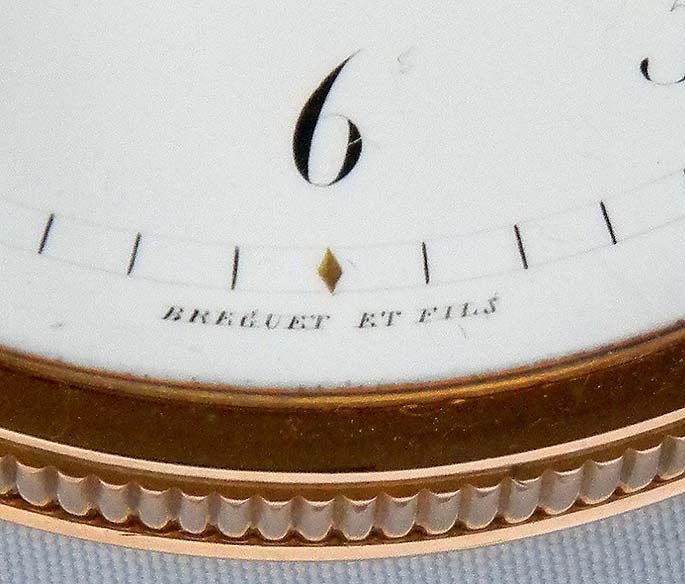 Fine white enamel dial (repaired edge chip) with black and gold markings and gold Breguet hands. 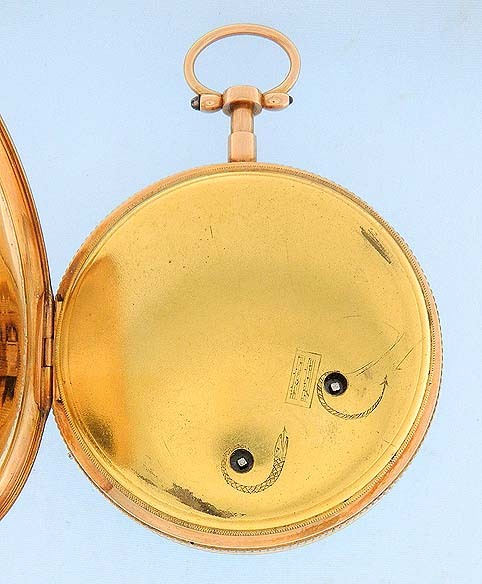 Substantial plain polish case with decorative band with button to play the music at will. 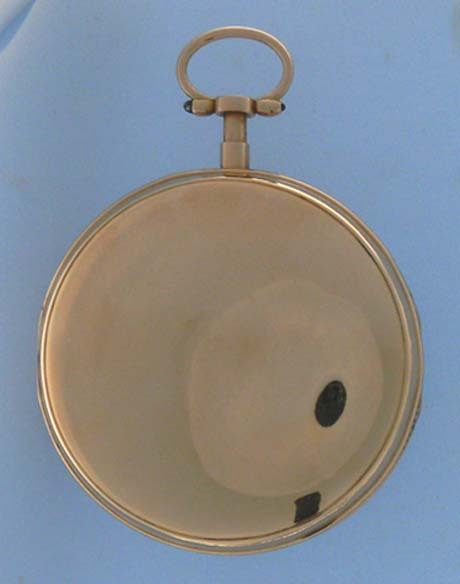 Gilt brass dust cover. The hands are a few minutes out of syn with the repeater. 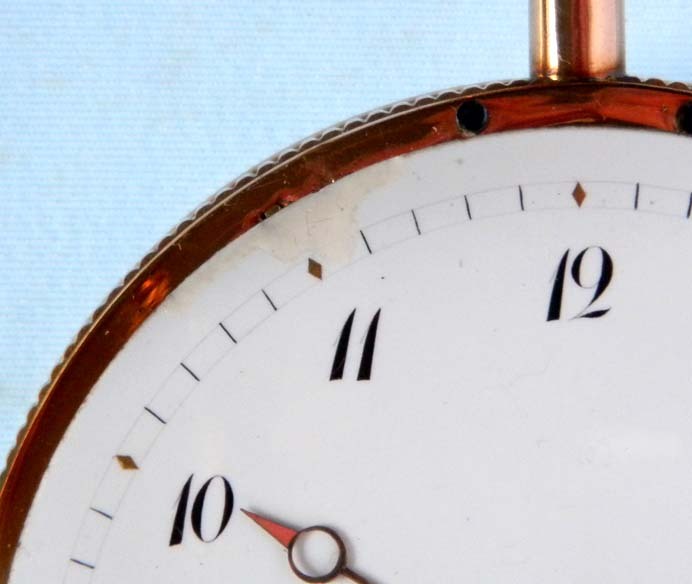 Musical watches with pinned cylinders are much scarcer than those using pinned discs. Lovely tune.